Eric James Tyson was born in Balham on the 17th of March 1892. He was the only son of Joseph and Annie Tyson. Joseph Tyson was a Classics teacher at the school between 1885 and 1929, and worked as Bursar to the school. Annie was the daughter of John Branson, of Rockingham, Northamptonshire. He was admitted to the school in May 1904, and joined Ashburnham. During his time at Westminster, he represented Ashburnham in Fives and Cricket as shown in the 1908 July edition of The Elizabethan where he was in a cricket match against Rigaud’s and in the House Notes section was stated that he ‘did well’. He was also mentioned in the 1909 October edition for competing in house Fives. He was forced to take a break from Football because he was suffering from “water on the knee”. When he left the school in July 1910, he went on to be a motor engineer. This stood him in good stead because, in August 1914, he enlisted in the Army Service Corps (Mechanical Transport). After a year, he became 2nd Lieutenant with the Royal Flying Coprs. He was gazetted in January 1916 for gallantry on photographic reconnaissance and artillery duties, and was promoted to Flight Commander and Captain by 23rd June 1916. 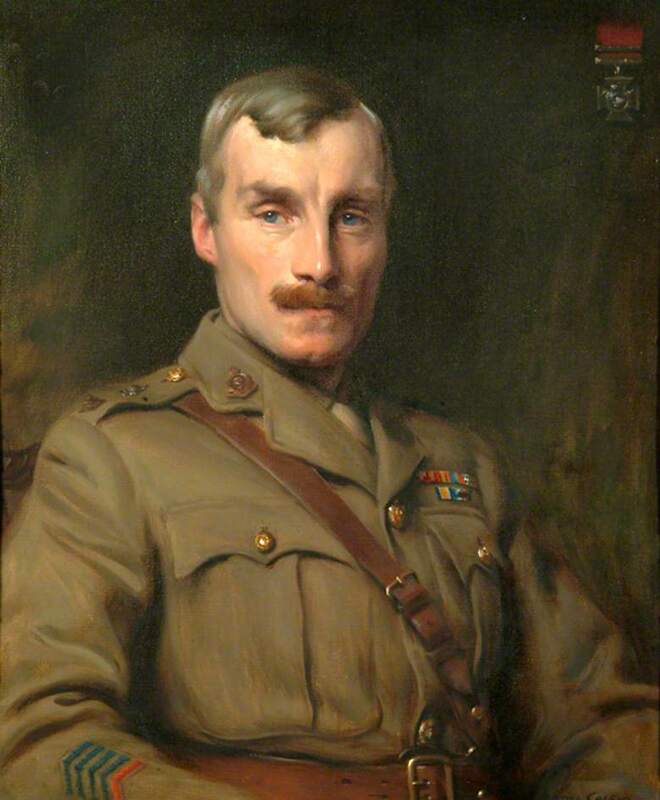 He was awarded the Military Cross on the 20th October 1916. In November 1916, he rose to the rank of Major, and was put in command of No. 5 Squadron in France. 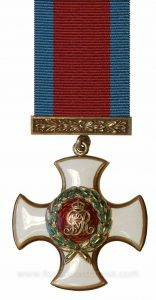 In September the following year, he decorated further with a Distinguished Service Order (pictured). 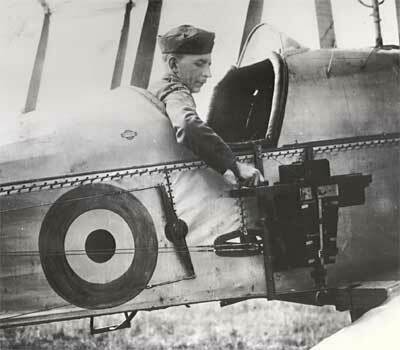 He was out on an artillery observation mission near Arras, France, when he encountered nine German aircraft. Eric was fatally wounded in the confrontation, with the victory attributed to Sielemann of Jagdstaffel 57. Tyson died of his wounds the next day, on the 11th March 1918, leaving behind his wife Cora Florence Gladys (née Davies), daughter of Philip C. Davies, of Trinity Road, Ealham. He is buried in the Maroeuil British Cemetery in France. Compiled with the assistance of a pupil in the Vth Form. On 18th February 1915 it was reported that Arthur Martin-Leake had been awarded a Bar to his Victoria Cross for his ‘most conspicuous bravery and devotion to duty’ during ferocious fighting near Zonnebeke, Belgium, in October and November 1914. Martin-Leake was the first man to be honoured with two VCs. Following his time at Westminster School he qualified as a Doctor at University College Hospital. He served in the South African Wars winning his first VC at the age of 27. During an action at Vlakfontein, on the 8th February, 1902, Surgeon-Captain Martin-Leake went up to a wounded man, and attended to him under a heavy fire from about 40 Boers at 100 yards range. He then went to the assistance of a wounded Officer, and, whilst trying to place him in a comfortable position, was shot three times, but would not give in till he rolled over thoroughly exhausted. All the eight men at this point were wounded, and while they were lying on the Veldt, Surgeon-Captain Martin-Leake refused water till every one else had been served. At the outbreak of the First World War Martin-Leake, then aged 40, feared he would be considered too old to volunteer for the Western Front. 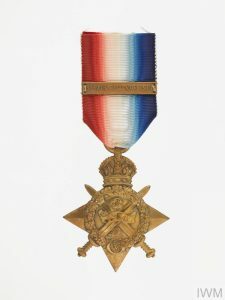 To avoid being rejected he travelled to Paris and enlisted at the British Consulate before attaching himself to the first medical unit he could find—the 5th Field Ambulance Royal Army Medical Corps.